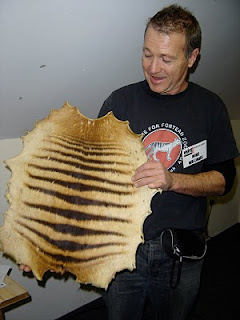 A Fallbrook man's belief that he owns a valuable Tasmanian tiger pelt has been challenged by a US Fish and Wildlife Service official. 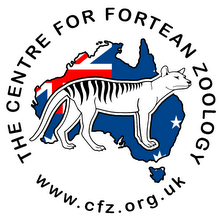 The question of whether Bill Warren's pelt is from a Tasmanian tiger or a Zebra Duiker, as a federal wildlife official believes, could be a costly difference for the Fallbrook resident. He bought the pelt last year at a garage sale for $5 and hopes to sell it in Australia for tens of thousands of dollars. More pressing for Warren, the uncertainty also prohibits him from sending the pelt to Australia for a DNA test that could clear up the uncertainty. "They're putting me in a Catch-22 situation, and I can't satisfy it," Warren said. "I just should give up." 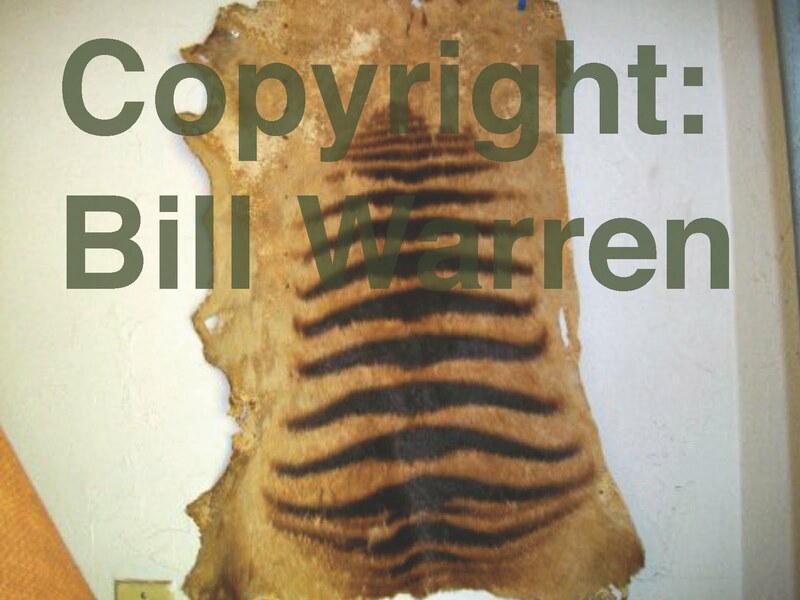 If he does give up, Warren will be out the $100 he has paid for an application to send the pelt out of state, plus the $5 he spent when he bought the skin at a Fallbrook garage sale last year. But he also could be out much more. 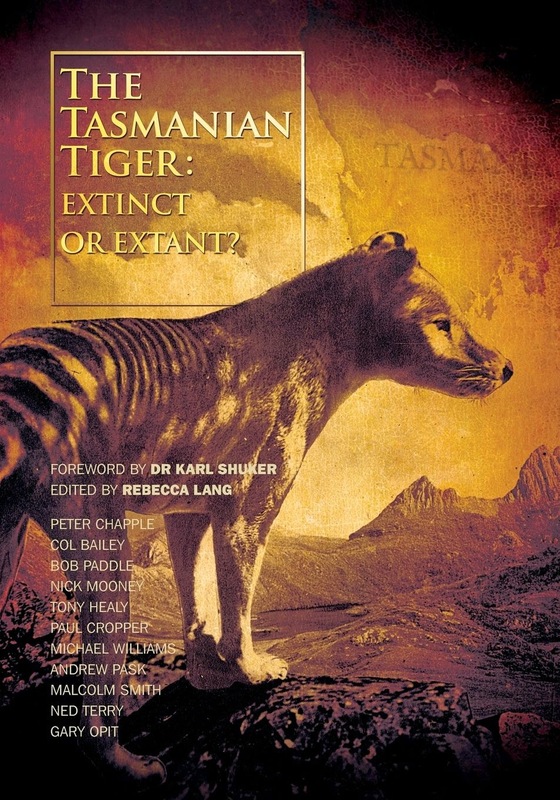 As reported in the North County Times in October, Warren discovered after he bought the pelt, that it may have come from a Tasmanian tiger, often called a thylacine, a carnivorous marsupial considered extinct in its homeland of Australia, Tasmania and New Guinea. 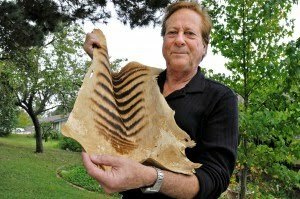 An official at the Natural History Museum of Los Angeles said after looking at a photo of the pelt that it looks like it's from a Tasmanian tiger. The pelts have sold for as high as $270,000 in Australia, where the animals are fondly remembered but considered extinct since 1936, according to the Convention on International Trade in Endangered Species. 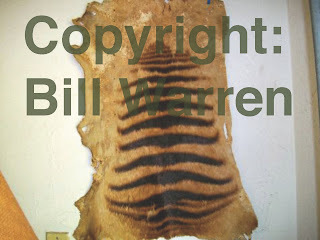 As discussed before on this blog, Bill Warren contacted us some time ago seeking help in identifying the skin, which we believe is possibly that of a Zebra Duiker, a small antelope-like creature. CFZer Mike Williams is seen holding such a skin at the Weird Weekend 2010 (below) - compare it to the skin Bill Warren is holding at the bottom of the page. What do you think?